Mobile has made inroads into almost every aspect of our lives from communication to healthcare and even finance. Payments have been of the most affected segments by the proliferation of mobile technologies across the world. According to a 2014 research by ABI Research, 46% of cash registers will be on mobile point-of-sale devices by 2019. These are either plugging a card reader into a smartphone/tablet, mobile money via USSD or NFC cards that are read by mobile phones. In Kenya, Mobile payments services such as Lipa na M-Pesa, Kopo Kopo and Equitel continue to see growth. Kopo Kopo has announced its launching a merchant payment service in Uganda in partnership with Diamond Trust Bank of Uganda. Kopo Kopo launched a similar service in Kenya but was soon overtaken by Safaricom’s Lipa na M-Pesa. The service in Uganda called PayEasy allows retail merchants in Uganda to accept customer payments at the point of sale via both Airtel Money and MTN Money. PayEasy also allows merchants to access a suite of web-based tools, where they can monitor payment activities, request electronic statements and settle funds to the banks in real-time. 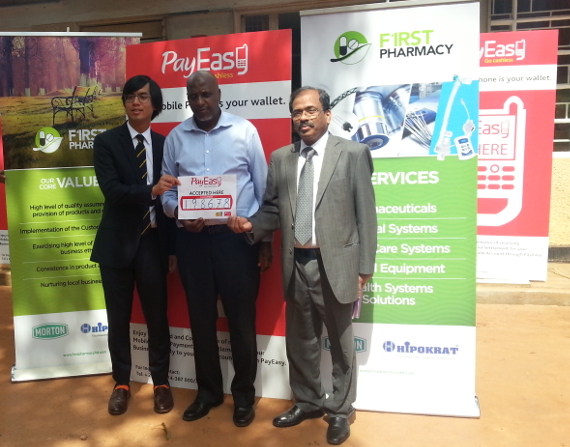 PayEasy merchants will receive free starter kits aimed at sensitizing customers and employees of the power of the service. To make the payments via PayEasy, customers will alert the cashier they will pay for the service via Airtel Money or MTN Mobile money. The cashier will then initiate payments by keying in the purchase amount and the customer phone number from their end. The customer will then review the details of the transaction before confirming the payment. To sign up to the service, one will need to visit a Diamond Trust Bank branch in Uganda.